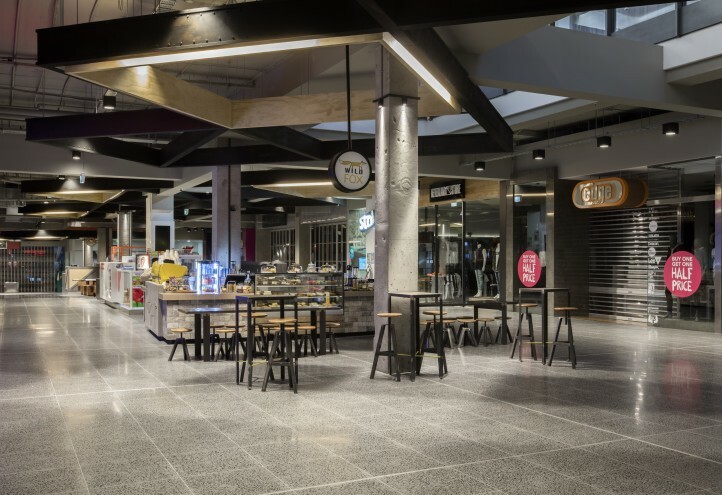 The existing Level 1 Mall at Highpoint Shopping Centre was given a modern ‘industrial feel’ refurbishment. 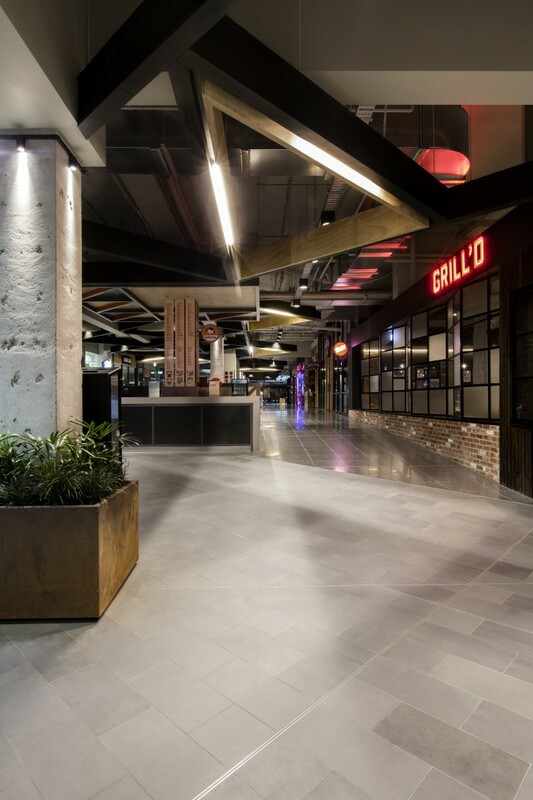 The works consisted of the demolition and removal of all existing floor finishes, removal of all column cladding, plus the removal of existing ceilings and ceiling elements for the installation of new lighting and feature ply insert ceiling elements. 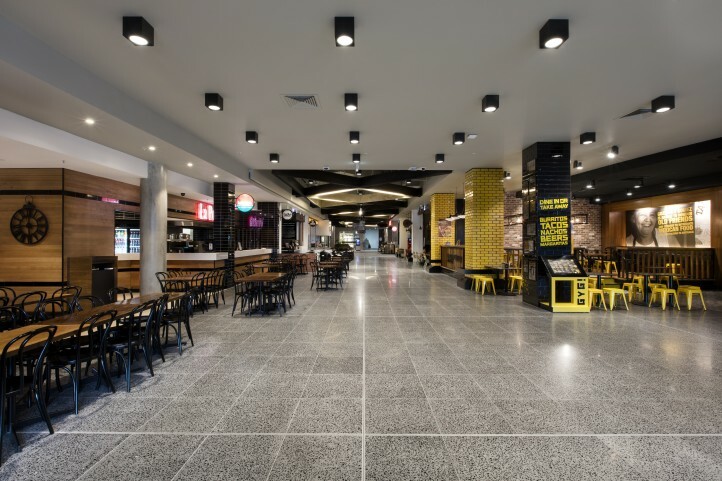 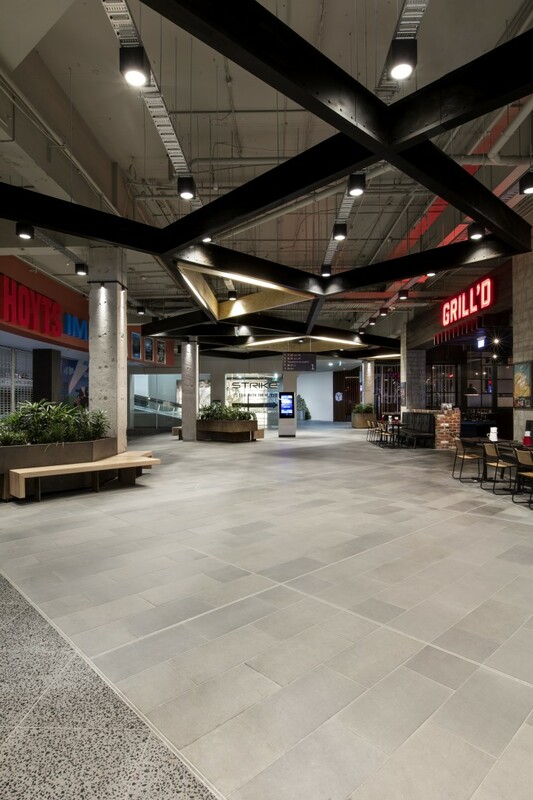 The new bluestone and terrazzo floor finishes, mall furniture and ceiling elements were installed after hours with minimal disruption to major tenancy Hoyts and food court tenancies, which continued to trade throughout the works.